Let’s get this out the way at the beginning because it is so distasteful to write ….. Pulis is doing a fine job at Palace. Who would have thought it? And now for another unpleasant chore, a retrospective of Arsenal’s January Transfer window. I will be brief, in my opinion it was …….. how can I put this? Dire. I know there are extenuating circumstances but the Draxler Affair was a comedy which ended with the player himself stating (I say “stating” but who knows if he did) that he wanted to come but Schalke refused to sell. AW saying it was all a media sham and Shalke winning all round. But who knows what is true? The club have never been open in their dealings and as we all know tradition is paramount at THOF. Any long-term fan knows that until a transfer is announced by the club everything you read and hear is supposition and gossip. Crystal Palace on the other hand have been very active, bringing in 5 players. At least one will start today, Jason Puncheon, who is in excellent form following his joke penalty at Shite Hart Lane. And of course today heralds “The Return of the Chamakh” ( whatever happened to that Mark Morrison?). I always liked Chamakh but he is at his level now; an inability to reach the standard required by Arsenal was not down to lack of effort but lack of talent and he cannot be blamed for that. Bet he scores now!! I have already sullied my keyboard with my first sentence so will not linger on their manager. Suffice to say, he is an odious fellow who will hopefully return to South London pointless and humiliated. Arsenal: Usual stuff – who starts given our mounting injury list (which thanks to our bizarre TW signing now has a Swede in the treatment room). Please Mr Wenger can we see more than 60 seconds of Podolski? Whilst I understand the need to balance the team by playing Gnabry on the right and Santi on the left I would much prefer to see (for the final 30 mins) Ozil go right, Santi central and Poldi on the left. Can we go into a game which is likely to be a midfield battleground with only Arteta to put his “foot in”? Micky suggests playing Vermaelen a in midfield and this makes much sense to me – won’t happen though. I expect Rosicky to start. He has been a major plus this season. I recall a conversation with kelsey a few seasons ago when we both wrote off Tomas’s career and questioned why AFC didn’t pay him off ! I am excited to see whether Rosicky plays in a Mask. Would he be the first Masked Gooner? The recurrence of Ramsey’s thigh knack is hugely annoying but it gives The Ox a chance to show us why he will be so integral to the team in future years. Important games ahead and his work will be under scrutiny. This should be enough to win today. We have quality on the bench which has been further strengthened by the absence of Park. Penge was another of the towns established by those hardy travellers the Anglo-Saxons. It was original called Penceat which means edge of the wood thanks to it being on the periphery of a dense forest. It burned down in 1936. On paper this should be a win for the good guys, but who knows? We haven’t been playing our fluent brand of Wengerball in recent weeks – perhaps not since the Ramsey injury. This is the last “easy” game before the “Death Cluster” (™ RL) we must take three points and return to our rightful place at the Top of the League. This entry was posted on Sunday, February 2nd, 2014 at 10:05 am and is filed under Uncategorized. You can follow any responses to this entry through the RSS 2.0 feed. You can leave a response, or trackback from your own site. “We have quality on the bench which has been further strengthened by the absence of Park.” hahaha I could have written that. I think you have got the team spot on Raddy and I actually think we might get one of those days when we win comfortably. If Chamakh and Arteta clash in the air there will be a mass of gel on the pitch. Raddy I tried to say that Pulis was doing a good job at Palace the other day…..I tripped over at Tony I couldn’t even start the surname so well done for getting the first line out in the open early doors. Hasn’t Puncheon been there all season? Just now converted to permanent so as to free another loan berth? They have done some good work in the window but I expect us to have too much for them. Ox in with Arteta will be fine, has done a good job there on occasion. Also reading twitter there appears to be a story in the Mail (must be true) that BSR wants to come home……..I’d really struggle with this! These are the games Arsenal need/must win if they want to be champs.Failure to get 3 points could be fatal.A draw aint good enough. I suspect Pulis will play on the break. That is where the gunners need to be careful. Remember Hull’s 2-1 win. The tigers were pulverised and shot to pieces but somehow survived to win. It could happen if the gunners carry their passing to a frenzy instead of shooting. ‘morning AAers, well done, yet again, BR. I won’t try to second guess Wenger on the team, but just for once couldn’t we play Podolski and Giroud as twin strikers? BR, you’re forgetting Penge’s other claim to fame, It was the site of The Penge Bungalow Murders, which brought about the greatest triumph of his career when Rumpole of the Bailey won the acquittal of the accused. NG. Don’t spoil it, Of course, it was in HP which is why so many visited. It cost more to move to Sydenham Hill than it cost to build. I expect a Arsenal 1 Crystal Pulis 0 thrashing !. Podolski and Giroud look nothing like each other, how can they be twins ? Lovely PM Raddy. 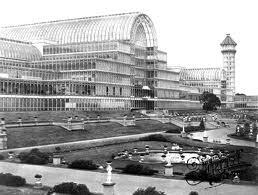 Crystal Palace burning down was supposed to be as unlikely as the Titanic being sunk by an iceberg. It was all glass and steel and yet it burned down – how did that happen? Of course this is a must win. Although some of the chasing pack had unexpected results yesterday, the fate of the title will be decided by the consistency of the current top four. It’s rich that Maureen is having a moan about city’s manipulation of FFP. I still can’t see UEFA banning any of the top teams from the CL. If city have broken the rules and don’t get banned then FFP will have to be consigned to the bin. We’ve not been playing that well recently. We need to be patient and produce a confident controlled performance (with no injuries) and victory should be ours. I cannot even begin to predict a score – it depends which Palace and which Arsenal turn up. Even if I find the Källström situation bemusing, isn’t many people’s preferred signing, Draxler, also injured? Very quiet this morning. Probably the post. Or perhaps it’s just Sunday. Definitely not the post, BR! It’s difficult to know what to say, as you have covered the most important points. Really a question of fingers crossed and being glad at what we have achieved. Thank you for your pre-match, I thought you were supposed to be on your holiday’s? I cannot see past a win today, Palace even with a TP “conditioned” team will not have enough gas in the tank to beat us. Chamakh may be in for his own private boo fest today – which will make him revert to his performance levels with us. A win will put us on top again and if Chelsea and MC tie on Monday we will stay there for at least another week. Your post at 6:46am was in extremely poor taste and your comments regarding dandan and GIE were also out of line. You continue to beat your well worn drum of discontent – why not give it a rest – it’s both upsetting and boring. Wow! Your comment at 8:02am was outstanding, it reflected my own thought perfectly. The only difference is that I could never have written my views with such clarity – thank you. I hope Chamakh doesn’t get booed but I fear he will. He was not good enough in the end, but he never bad-mouthed the club and has not done so since leaving. The Kallstrom deal does seem odd to me at the moment, but as always, I trust AW must have had his reasons. With regard to the Draxler ‘negotiations’ (and you can take your pick of the rumours as to whether or not there was even a bid), I would compare that to the situation where if I were personally offered an item that I wanted, (say in a shop), at a price I did not like – I would not buy it. There is a difference between cost and value in my private life, and I would expect no less from the club. If Arsene (and we are talking hypothetically here) was told that Schalke would only accept ‘x’ for Draxler, but AW thought he was worth ‘y’, I could not criticise him for refusing to pay ‘x’, if he thought it was not value for money, even if, as a fan, I was disappointed. But none of us know what, if anything, went on, so I guess it is all moot. Having explained the above, where I would still question the club, as I said yesterday, is in their apparently blinkered pursuit of Suarez last summer, when it became clear to nearly all of us that ‘Pool’s owners would never sell to Arsenal, and the club did not appear to have a fall back plan to buy another CF, which AW clearly felt he needed. That was a mistake, in my opinion, and will need correction in the summer (by which time it will be too late to change the outcome of this season’s Premier League challenge), but better late than never, I suppose. Hi Redders, the cost of strikers next summer is likely to be sky high. As usual, there will no doubt be several whose price will rocket on the basis of their WC performances. We will be competing with the chavs who it is reported already have their sights on Costa. I’m still reasonably confident on Draxler, but he could also go out of our range if he has a good WC. Pulis and Fat Sam are cut from the same cloth, and I expect similar tactics today to those used by the open mouthed gum chewer to facilitate the Whammers draw against the Chavs. It’s football, anything can happen, but after a TW that has disappointed many fans, neither the club nor Arsene personally will want a poor result like the Chelsea one — and neither will we the fans. We definately need a striker but i do worry about who we could actually get in the summer. If theres not one available now, then whos going to emerge in the next 6 months? There seems to be a real shortage out there. Maybe the thinking behind Draxler is that he can convert him into a CF, as has been suggested in the press. That is another reason why the failure to buy Higuain (or similar) and giving up earlier than we did in the pursuit of Suarez last summer could be very expensive for us in more ways than one. I agree, affordable strikers are scarce. It would not surprise me at all if AW had it in mind to turn Draxler into a striker of sorts – I think he prefers to attack from midfield. Again, I am in complete agreement with you regarding the likelihood of the cost of the best players going up after the showcase of the WC. Another reason why the failure to get someone last year was a costly mistake in my opinion. I do not believe for one second that we will ever see Draxler at Arsenal. If Wenger saw a discrepancy between cost and value this January, it is not likely to change after the world cup — and his cost is more likely to rocket and anyway there will be others with deeper pockets prepared to take him. As I really don’t want this spilling over into BR’s Pre-Match Post, GunnerN5, I’ll try to keep this brief. Firstly, it is only ‘poor taste’ if you take it out of the context with which it was meant, as you obviously have. It’s called passion, and just because people on here have Arsene Wenger up among the pantheons of God’s, it doesn’t mean we all slavishly fall into line and become ‘yes’ men. I don’t ask people to agree or disagree, nevertheless, it is my opinion. I don’t jump on here everytime people go over the top with their lavish praise of our manager, I don’t swear at people or call them childish names just because I don’t agree with their opinion, in fact I’m not on here that often. We’re talking about a football club, not life and death, and some people should hang their head in shame for the way they behave. With regard to Dandan and GIE, there was no need to respond in the manner that they did, but my responses were far more polite than theirs, and your address to me. As for the accusation of being ‘boring’, only if you have a one-dimensional unintelligent mind-set that closes off all avenues of potential debate. Whether you choose to believe it or not, just as there are many Arsenal supporters that are content, there are equally as many who aren’t, just pop over to ‘Le Grove’ and see for yourself how many there are. I think you’ll find they use far more industrial and vitriolic language than I’m comfortable with. You don’t need to tell me I’m the bad apple, many have beaten you to it. Over and out. Sincere apologies to you Big Raddy for disturbing your excellent pre-match, here’s hoping Arsenal get the job done today, I have this nagging doubt that says 1-1, but I’ll be happy to be proved wrong to see us back at the top of the PL. Thanks guys. He’s been an angel so far so can’t complain, just hope it continues (it definitely won’t!). I can’t think of a striker that would be available that would greatly improve our team. Fingers crossed Wenger can pull something out of the hat. Now you are getting really offensive. In the future I will not be upset by your comments as I will no longer read them. This is the end of my communication with you. Hi WATA, I hope you agree that we’ve said all that needs to be said on that subject. The rumour that Brave Sir Robin is disenchanted and would like to return to Arsenal seems entirely without merit and after all that has gone on, I for one think his time has come and gone. There are always other fish in the sea, my mom used to say (and I have lived by that truism all my adult life — and I am still looking for one to marry me!) but that aside, the same applies to footballers, especially CFs. Arsène Wenger says Laurent Koscielny and Wojciech Szczesny’s progress since the 2011 League Cup final show the benefits of patience. The Arsenal pair’s mix-up in that game allowed Obafemi Martins to score a last-minute winner for Birmingham City. But Wenger says the huge strides Koscielny and Szczesny have made since then prove the importance of not rushing to conclusions. “Koscielny is one of the best in Premier League, without any hesitation,” the manager said. “He has combination of qualities. Good reading of game, good anticipation, great commitment, great speed and [he is] quick on the turn. “He is good on ball but he has improved a lot in that he now has better control of himself. He is more serene and calm, one of the very best for sure. “He had a tough spell after [the League Cup final] and last year I took him out of the team for a while. That’s where I give him great credit because he came back in convincing way and took being left out in a positive way. Wenger insists he never considered signing replacements for either player – and he has been fully vindicated. Hi Rasp, people just have a different criteria for what qualifies as success, but that’s fine. I promise not to ruffle any more feathers. We obviously all want the same thing for Arsenal, and hopefully Arsene Wenger still has a big role to play in taking us there. Now you are skating on thin ice. A report written on Rasp’s nuts will get to the crux of it. You are in trouble now Kelsey – he has you by the short and curly’s. That’s all very well, GN5, but I have often been described, by dopey students, as being a cross between a math teacher and an angry crab — it seems I give snappy answers. Raddy, I love your idea for the last thirty minutes. It’s better because we get two of our best scorers on the pitch together. Santi tries to score allot more aggressively from the middle than ozil. I still don’t know why arsene couldn’t get lukas on longer last week. Frustrating. GIE, good link on ffp. Liverpools owners can be a good ally for us in this. But I just can’t imagine uefa doing anything about the owners pouring money into their teams through other businesses they own. Even though it’s obvious. We haven’t heard them address that aspect publicly. That affects Chelsea also in a big way, so we lose mourihno as a mouthpiece on that one. As much as I hate him, he is very effective at drawing the media attention that might help..
Wasn’t there some talk about a separate English ffp, favored by a majority of clubs? Got to go and get breakfast sorted before watching the game. If you could send it to my nuts for now please 😕 I’ve spoken to peaches, I think she’s going to email you later. Szczesny, Sagna, Mertesacker, Koscielny, Monreal, Arteta, Oxlade-Chamberlain, Cazorla, Ozil, Podolski, Giroud played very well. As regards the team, it will be interesting to see the formation. We are going to need Rosicky in the big matches so giving him another week to recover is a good idea….. maybe he’ll come on from the bench. Nacho for Gibbs is intriguing – is Gibbs fully fit I wonder? Subs: Rosicky, Fabianski, Bendtner, Jenkinson, Gibbs, Gnabry, Zelalem. Can I say that I like this theme of yours so much. Second week on the trot I’ve shot off and told the family how clever I am. This time origins of “spending a penny”, followed up by the brilliant connect to football with “remarkable because you could buy a decent central midfielder for a penny in those days”. Brilliant stuff, thank you very much. well its an attacking line up. Im surprised Wenger hasnt opted for Gibbs after Monreal’s poor game against Southampton. Maybe hes saving him for the bigger games. Good to see TR7 on the bench. Podolski in the team!!!! Thank God!!! Ahhhh, at last. Mesut, Santi and Lucas together. That is very exciting. BR. Great pre match right up as usual. I for one am very happy to see Podolski in the starting line up. I think his shooting skills are what we may have been missing in the past few games. He just needs to take the chances when they come his way. After the past few performances the entire team need to up their game and take this opportunity to put a few goals in the back of the net! Gibbs carrying a knock? Can’t see why else Monreal keeps place and as FGG says big games to come. Like the three man combo of Ozil, Pod and Santi, if it were me I might even be inclined to start 4-4-2, good shooting distance in the midfield line. No Vermaelen? Injury or manager’s decision? 1st to grab a starting place for Arsenal in the absence of Flamini as well as Maelstrom, but also to prove to Roy Hodgson what a versatile player he is, and those are very handy in any WC Squad. Someone mentioned an injury earlier this morning. I think. Other results, and with City v Chelsea tomorrow, suddenley means that 3 points here would be a massive boost. Ox and Pods inclusion could be key as it means we have a very real threat from outside the box. This will force Palace defenders to close down rather than backing off and that could create space in behind for other players. Like others I prefer Gibbs. The bus is well and truly parked. No surprise there. Oxo is trying too many Hollywood passes, a bit like Ramsey used to before he settled down. a foreigner I can confirm that I had no idea where the ‘spend a penny’ expression came from. I am not sure why you think that Crystal Palace under Pullis play well, but we have 60 more mins to find out. The commentators here said that Pullis’ greatest achievement in his 21year career is the fact that he was never relegated. Great! Ginga – Jack is loooooooovely, what a little beauty! My granddaughter is very lucky to be in such good company – George and Jack, and Nicole 🙂 They are the future! The ref is way too lenient. Pulis’s clear plan is to break up our play with lots of petty fouls – and he’s being allowed to get away with it. I know these games are frustrating (well, until you get the first goal), but I find them fascinating. Trying to probe and skill your way around a packed defence. Usual thing, the first goal, then the space opens up. Game going as expected. Pulis tactics have been the same everytime he comes to THOF. Dull,dull, dull. We have tried letting them attack looking for some space but no luck so far. Let’s hope CP tire and we can open them up. Speroni looks solid. Why buy Hennesey? Seems to be a couple if different paces on the pitch from us. Could do with TR7 in the middle gives a bit more directness with his movement, too many ball movers than runners at the moment. Monreal having a good game, Pod looks hungry, Ozil is a genius on the ball but he needs more movement from those close by. Think the ref should have booked Jedinak for his foul on Ox in our half, that’s the only one I thought he got wrong so far. Oli needs to stop backing into the centre backs, Pulis has schooled them well, push into the forward then as soon as you feel his weight shift onto you take two steps back and put your arms by your side, result looks like forward is looking for foul. Dark arts but sometimes like to see a bit of that from us or at least a bit of recognition that it’s going to happen and get wise to it. Palace also looking to win free kicks, Ox guilty once of giving it to them when he could have let centre backs deal with. Need width width and more width, problem is it only seems to be coming from Bac and Monreal which will leave us open to the counter. Few balls into the box from deeper will force Palace to press higher which should then open a few more gaps for runners. I am in danger of being repetitive, but the lack of pace is evident, because it is like our guys are giving a training ground demonstration or exhibition of keep ball, with very few real bursts of pace – Sagna was an exception but even then he collided with the ‘keeper. Open a bottle of red wine, cut a slice of chocolate cake and we score. If Gibbs is fit I would put him on for Monreal and bring Rosicky on for surprisingly Giroud he looks off the pace. We need something Kelsey. The team and in particular the midfield has gone to sleep. I’d get Ollie off now. Time to take off OG who has taken a battering, and Ox looks tired. Don’t bother with the match report Kelsey, i wrote it this morning at 8.12am! Job done! Here’s to a draw tomorrow. FGG. guess your little fellow has only seen AFC off the top of the table for one week in his life! I was mildly impressed with CP. Well organised and hard working. Job done! Another clean sheet, three points and back to the top of the league. CP parked the bus and made it difficult for us to break them down but with patience we did the job. Ox was outstanding, hopefully at the end that was just a touch of cramp and nothing more serious. Good all round performance from the boys today even though at times our midfield struggled a little even though we had 73% possession. Now here is my question to all of you, do we want city to beat Chelsea and put Chelsea 5 points behind us or is a tie the best outcome? Your thoughts? I did not mean that I would be content with coming second. My path of thought that it would then be a 5 point gap between us and Chelsea and in turn we would then battle with City for the Championship. I am convinced City will drop points and I am certain so will Chelsea. Good win, little bit of sleepy time after our first goal . I’m one of Arteta’s biggest fans….only thing he does that annoys me is play others into trouble when tight in. Almost two thirds of the season gone and we are 15 points ahead of MU. Moyes in!! Isn’t there also an argument that a Chelsea win is good as it means we are 2 points clear and it could cause City to wobble. I think we are golden no matter what because we’ve won our game. That’s all that matters. We could be the only team in the top 4 to win this weekend. Good win. Ox is my man. Brought energy to the midfield that reminded me of Rambo. Both of them could offer a lot of energy in the central area if played together. Arteta was off his game.He’s had bad days but today seemed like nothing worked for him. I think that’s the replacement we desperately need. I wonder if he’s injured how we’ll pack up at the back? if Rambo is fit, I would play Rambo Jack and the Ox in front of the CB. Time you learn’t to sleep through first halves, that way you won’t miss the good stuff and still feel refreshed. Mickey. There are so many scenarios and what ifs! I guess at the end of the day all you can do is win our games. However, I would like to see that little bit of breathing space behind us. On a different note, lots’ of articles in the German press that Klose is really upset with his Italian club. He really wanted the loan move to Arsenal to challenge himself in the EPL and play along side his German team mates, especially as he is not getting much playing time in Italy and he wants to earn his spot in the German National team for the WC. At 35 Klose is fitter than most younger players and is fox in the box. With the chances our boys create I think he would have been a great help to us. Two goals, another clean sheet, three points and back to the top of the league. MotM Alex Oxlade-Chamberlain. I’ve always had a sneaking respect for Palace, they played good football in the past but now that they have sunk to the lowest level of Pulisball I hope I never have to watch them again. 11 0 0 for much of the game, that’ll keep the crowds rolling in! Another fine performance by The Gunners, another tactical triumph for Le Boss, he really has no equal. WATAbout that! We’ll find the silver lining in tomorrow’s result. No need to worry about that. So often to make those saves when you have next to nothing to do all game is so much harder than when you are bombarded..
On that note, I feel weak and hungry. Did you see the Arsene interview? On kallstrom, he set the record straight regarding the loan transfer deal. — We got KK for nothing – no payment for ‘borrowing’ him. — We will only pay his salary after he recovers from his injury. — Spartak will pay his salary in the meantime. — KK will have recovered from his injury by mid-March, at the latest. So, we did know he had a pre-existing injury, and the medical check showed it was a micro fracture. If he does not recover – we pay nothing and it will be as if the deal had not happened. If he is back at the end of February or mid-March he will be available to cover for our midfielders during the run in to the title. Look at the amount of strapping on Kozzers ankles!!! So RA, no media conspiracy against the Arsenal, however, the deal is not as suspect as the media would like it to be. Note run in to the title, not CL qualification. Right up to the last minute on Dead Line Day, Arsene was looking for more loan deals closer to home !. Am I missing something? Man City appeal Kompany’s red card 2 footed tackle v Arsenal…and WIN but the Flamini identical tackle red card still stands? FA+ FECKARSENAL? I really like your style, I definitely enjoyed reading this! Where is everyone? 2-0 win back top of the league Ox scores two, Pod plays with Santi and Ozil. Szczesny doing what every Championship contender’s goalie should, stop the one chance that’s given. Or is everyone having a nap before watching Super Bowl? The AA crèche is looking a fine bunch now….so when do we place bets that they’ll end up playing for Arsenal? Gie, you are most observant I read the same BBC report by Michael Emons and skipped right over that. Interesting to see the explanation behind Kallstrom. It all makes sense in football terms, but it really is a PR screw-up: the club had all the information ahead of time, so why didn’t they manage expectations by saying it up-front, and not wait for it to come out afterwards? I’m not one who says that the club communicates badly with the fans generally (they do a better job than pretty much all other clubs, as far as I can see) but this is a bit of a Mickey Mouse level mistake. GIE will the blast make it for next week? JanMan, I want a draw tomorrow because both competitors would drop points. Chelsea has it easier the rest of the way, so it might be better if they lose. On the other hand, City is looking so tough, that I think the sooner they stumble in their march, the better. You expressed wanting Chelsea 5 pts behind, but a draw leaves them 4 pts behind, which seems almost as good. In addition, City would be 1 pt behind instead of 1 pt ahead. I thought we really missed Wilshere and Ramsey today – the passing needed speeding up, and LJ would’ve done the business on that front, and in the first half we needed more running into the box. That said, the Ox’s attacking running certainly warmed up in the second half. My impression is that The Ox played further up in the second, and this made a big difference. After spending the first 45 minutes trying to get through ten men, i and those around me wondered how we would unlock the Palace defence. It didn’t take long and wow wasn’t Oxlade-Chamberlain an exciting sight for sore eyes. Yup, my impression too, arnie. Not that I’ve had the chance to watch any TV coverage to check my impressions yet. Gn5 – your 3rd blast from the past will definitely be used next week either Wednesday or Thursday. Until things more clearly sort themselves out at the end of the season, 4 points dropped is better than 3 points dropped. So a draw is what we hope for tomorrow. As awful as it is to watch Palace playing Pubis style of football, they are organized, physical and difficult to break down, plus they still have matches at Selhurst Park against City, Chelsea and Liverpool. So some successful doses of 19th century football against those sides would be welcome. I think the whole team played higher up at the beginning of the 2nd half. Watching Pod collecting the ball just over half way was doing my head in during the first 45. We were far too deep and blocking each other’s space. I thought Özil was much more assured today and Mertersacker was unbelievable. Never missed a tackle. I’m worried about Arteta who just seems to have lost something, and I’ve got a feeling it might be to do with a certain Welshman who keeps his discipline better than some of his other midfield partners. Rosicky was great when he came on too. Glad he’s back. TOTL, 14 games left. If we can beat Liverpool, then I think we will beat United and Liverpool again, so the next match could be key to this tough run of games. With the pressure of the PL and FA cup building, I think the lads should use the CL as a bit of a release. It’s the perfect competition to play attractive passing football and nobody really expects us to get past Bayern (although I think we can). Who knows what can happen if we get through. I don’t begrudge for one minute a club of Palace’s limited resources playing Pulis-style. They looked dead and buried before he arrived, now they look organised and solid. Difficult to predict who’ll be making the drop this season, but I think Palace will escape. My problem with Pulis is almost entirely the result of the Ramsey episode. Organised, narrow football is one thing, but for a while at least, the likes of Shawcross and Huth were commissioned to play with a degree of physicality and recklessness that, with the game played at the pace it is today, ran the risk of an accident like Rambo’s. Stoke eased off that style in the last couple of years under Pulis, and Palace aren’t doing it now. it’s up to us to break down these sides, and so far, we’ve been pretty bloody good at it. There are some interesting comments last night after the game and for copyright reasons 🙂 I wish to inform you that I submitted my post an hour and a half after the game finished before these comments were made. With regards to the KK deal it’s amazing these days how pundits and the media find out every single detail in the minutest detail and at the end of the day it comes across at mocking Wenger and the club.Pity it couldn’t have all been kept under wraps however bizarre this deal was. I think Maelstrom will start zero matches. Back injury, or not, it’ll take him too long to get up to prem speed. He’s played something like 30 games in the last 18 months. Reading through comments, I guess there was nothing too bad with Arteta. As I mentioned the other day, I think Pool away could be our Bayern away moment. The point where we cement the belief in ourselves, continue to beat the “lesser” teams, wollop Utd at home, and do just enough against City and Chavs. Did Chas “park” at Evonne’s yesterday? Could you let us know if you still need posts this week, and for when? Lol Micky he has been quiet……..
Ox does look good in that central role . What I thought we did very well yesterday was press to get the ball back in their half. Couple of things not so good Arteta’s passes to feet under pressure, he sometimes passes on responsibility similar to the gifted goal against Bayern at home which Rambo took a lot of stick for but wouldn’t have happened ifArteta just put it in row Z.
Micky, this is a tough game. I have been thinking for a while now, but cannot find anything much to say. Yes Evonne, I do love The Ox. Remember me doing me nine hour round trip just to see his full debut? It was Shrewsbury in the League Cup. Sat North Bank Upper, with an Evonne and a Peaches. Me and two hot birds. Tidy. I’ve already written one post on him, albeit a couple of years ago, but very happy to do The Ox II. I’m happy to talk about Lesbians, but not so much adoption, as given that I have two adopted children, the whole process makes me more angry than anything. Adoption is a very emotive subject and things have changed dramatically since I was born and subsequently adopted. I listened to an interview with him soon after joining us, and remember clearly thinking what a great attitude he had. Not only his charm and humour, but there was a clear intelligence, humility and obvious professional determination. The fact that he is also so naturally talented, strong and quick on top of that attitude is what will make him great. What does the Arsenal Gentleman call The Ox? I’ll see if I can unearth it, as unsurprisingly it was brilliant. Very early 1900’s as you say. Can’t find the pic. Must dash. School running this morning. Well done to you, Micky, I was taken into Welfare Care in the 1960’s and had a nightmare of a childhood. One thing that hasn’t been mentioned much about Ox’s first goal yesterday was that sublime first touch with the outside of the right boot. Killed the pace, controlled it and set up his second touch in one sweet motion….and that stuff you can’t teach. You can teach kids where to run, you can teach finishing and passing, but instant flashes of brilliance like that or the way Santi controlled the wayward pass in the first half are from reactions that can’t be coached, but can be encouraged. At too many clubs in the PL moments of individuality like that would be coached out of players as they are high risk. Would anyone like to come up with some player ratings to add to kelsey’s match report? I always wondered if I was adopted? I am much better looking than my parents. They could have played the Banjo for a living. I have been friends with a lesbian couple for near on 20 years. It started as a love triangle but I lost out. How can you compete with some one that not only offers another women all the sensitivity and feelings of another women and yet can perform DIY better than you. Advice to other men. If your other half starts seeing another women, dont fight it. Just pack your bags and take up train spotting instead. Mickey,I too have adopted two children and one of those has adopted two children from the States, so we are well versed in the ways of the authorities they are a disgrace and yet another way for government to bolster their finances. That having been said our kids have been worth every penny of the substantial tax the gov. Has seen fit to charge for our families love. By far the best investment We have ever made. Kelsey fine point about Santi switching foot. The simple beauty of a two footed player is joyous, the fact that a defender can be befuddled so easily , let’s be honest if Gibbs, Sagna, Theo etc shaped to go on to their wrong foot most defenders wouldn’t change their body position as they don’t fear them on that foot and they expect them to trying a dummy, facing a two footer like Santi they have to respect he can go either way and are scared by the prospect. Also G Neville made a great comparison of BFG to Tone yesterday, discussing how BFG doesn’t back off just lets the forward come at him and backs Harold to win the challenge, the difference this makes when holding a high line is one of the key elements of our better defending this term. I senbt the ratings peaches ,must have got lost but have sent them again. Here’s to Micky: Alana Blanchard. Firstly during the baby boom many children were adopted and in most cases wherever known they would try and match the physique of the blood parents or parent to the proposed adopters. I believe today it is nearly impossible to adopt a new born baby at least in the UK for many reasons one being the fact that a single mother gets plenty of hand outs from the state system. I know of a number of cases where adoption has gone terribly wrong In most cases these were children as opposed to babies, but of course many many adoptions are beneficial to all concerned.